The question haunts me every time someone says it to me and unfortunately, that’s all too often. It’s kind of like saying “well, I’ll get car insurance after I’ve had an accident or home insurance after the hurricane. That just doesn’t make any sense at all. And I believe it’s because of a fundamental issue. Most folks don’t understand how security works. Back in the medieval ages, security meant build a big castle wall with a moat (some people still think this is effective [wink, wink, nudge, nudge]); then after the hordes changed tactics and instead of advancing would lay siege. That lasted a very long time, at least until the days of large armies and modern warfare. In the ‘80’s we put guards on everything. Then in the ‘90’s and ‘00, we started using technology because guards were too expensive. We’re still using technology but we’re kind of stuck on the idea of putting a surveillance system in to watch things. The problem is, unless there’s a guard force reacting in real time, the incident will only be recorded. Criminals understand this, that’s why there are so many break-ins even when there’s a camera in use sign. A few years ago the Chicago Tribune reported that less than 3% of criminal activity is solved using surveillance. In the U.K. they say, that numbers around 25%. I think it’s safe to realistically say we’re somewhere in the middle. Not very effective – the doctor’s diagnosis is only right 65-70% of the time. The overarching purpose of integrating security technologies in building design and construction is to reduce the risk of bad things happening to people, whether those bad things are from natural phenomena or intentional from bad actors. The good news it most natural threats are governed by building codes or ordinances. The bad news is most man-made threats are not. However, this is slowing changing. In fact, HR 4227, the Vehicle Terrorism Prevention Act was signed into law just a few weeks ago. This law addresses the intentional use of a vehicle for a high speed attack in public spaces. HR 4227 also requires the DHS to submit to Congress in six months their conclusions on how the public space can be best protected from intentional hostile vehicle attack. I’m excited to see that we are finally addressing other man-made threats besides fire, as we are severely lacking in our approach to mitigating them. Man-made threats range from criminal activities that destroy property or violent crimes that hurt people. Besides the use of Crime Prevention through Environmental Design concepts not much else is being done in addressing these deeds. Sure some artificial intelligence work is being done in analyzing behaviors but what I’m talking about is designing buildings, besides being energy efficient, so that they also reduce physical risks. We can do that by following five very simple rules; 1) Maximize stand-off distance to parking wherever possible, 2) Reduce flying debris hazard so that people are not injured by building materials and interior items from flying around, 3) Prevent progressive collapse, or keep upper floors standing long enough for folks to evacuate,2 4) Limit airborne contamination, by keeping contaminated air where it is, if outside keep it outside and if inside then keep it inside, and 5) Provide mass notification; in other words, tell people what you want them to do in real time3. The good news is we don’t even need new technology, although some really cool, artificial intelligence stuff is happening. We just have to change the way we think. Think Preventive – Not Reactionary in reducing risks. After all, isn’t that what it’s all about? 2. This concept was used in both the Pentagon and World Trade Center, and demonstrated its effectiveness on 9/11. 3. These and other concepts are taught in our Physical Security Engineering Training and Certification (PSET&C), Program which was identified as the Best Homeland Security Education Program in 2017, by American Security Today. 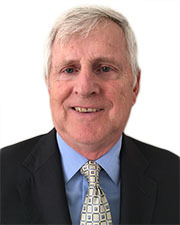 Doug Haines, MPSE, is owner/CEO of Haines Security Solutions, Ventura, Calif.